I have so many students that come to me with language or articulation goals that end up really struggling with phonemic awareness skills as well. We work on syllables, sound/letter association and identifying the first/last sounds in words. I know lots of you are working on these as well, or have little ones of your own at home. 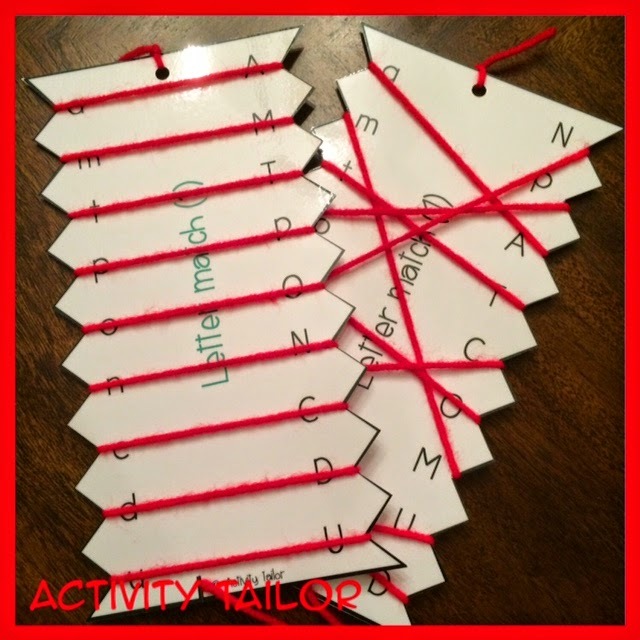 This is a fun way to work on matching upper/lower case letters and fine motor skills. It's easy to put together and really fun to do! Simply lace the yarn from the left side of the Zig Zag (also reinfoces left to right orientation for reading) and match the two letters. If your students have fine motor difficulties, are very young, have a real fear of failure (something I come up against frequently) or just need additional drill, try the "Green Light" version which allows for perfect practice since you lace straight across to make matches. 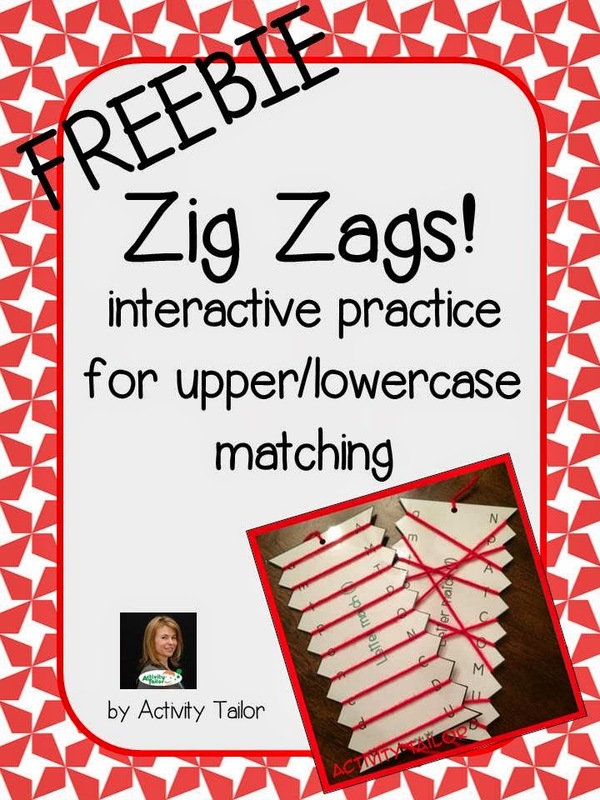 This FREEBIE includes three different Zig Zags divided by the typical order of introduction.